Remington, a member of the Southern Ute Indian Tribe, constantly fought against the status quo, even if it meant arguing with the tribe’s general council members. In recent years, Remington became a Southern Ute elder and took great pride in his nieces and nephews, she said. “That became just as important to him as anything he’d ever done,” Lachelt said. 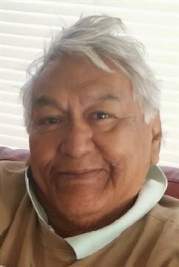 Remington is survived by his sisters, Linda Eagle, Ramona Eagle and Annie Rabbit; and many nieces, nephews, grandchildren, great grandchildren and relatives throughout Ute County.